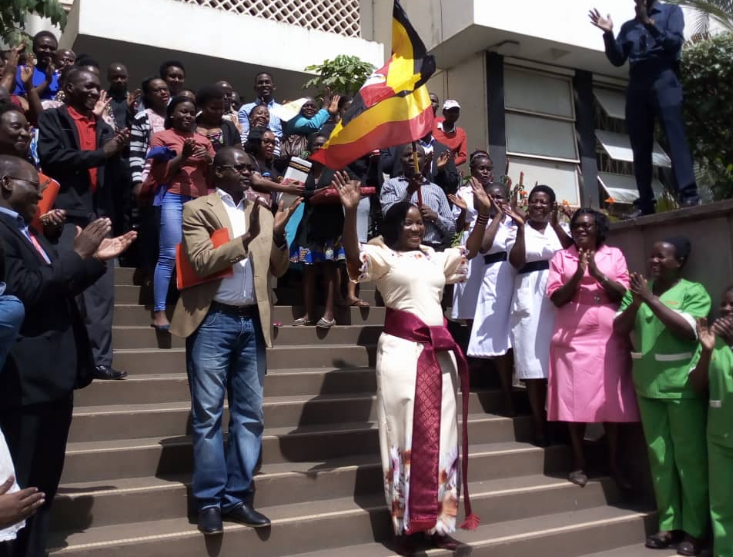 KAMPALA- Ms Jennifer Musisi, the director has applauded President Museveni for giving her chance to serve as the Kampala Capital City Authority (KCCA) executive director. Ms Musisi, who is now former KCCA executive director after serving a period of seven years, handed over office to Kampala Minister, Ms Beti Kamya Friday, December 14. Ms Kamya said she will run the office until a new executive director is appointed by President Yoweri Museveni. Ms Musisi tendered in her resignation letter to President Yoweri Museveni on October 15 which indicated that she would cease being executive director of KCCA effective December 15, 2018.. Her resignation came two years after the KCCA Deputy Executive Director, Ms Judith Tumusiime Tukahirwa also resigned on December 4, 2016. President Museveni first appointed Musisi in 2011 on a three-year contract as executive director at KCCA. He renewed her contract for the third term in April 2017 amidst rumours that Ms Musisi had submitted her resignation during her second term after being accused by some NRM politicians including President Museveni himself for causing massive electoral loss for the ruling party in the city due to her high handedness approach. Although president Museveni is yet to approve her resignation neither has he appointed a new executive director. Ms Musisi today officially quit the office and handed it over the minister for Kampala Ms Beti Kamya Namisango. Ms Musisi said in her twitter post handle adding that she had handed over a better city than the one she found it. She handed over the seal of authority, 13 KCCA accounts worth Shs113.9 billion, 250 KCCA land titles, a list of staff members, ministerial reports, pending and on-going projects, financial year reports, reports of city festivals, among others items. Ms Kamya said that for the two and half years she has served as Kampala minister, she has interacted with several managers at the institution and found them competent. “Ms Musisi has left a strong team. The people of Kampala should be assured that service delivery, law and order in the city will be intact in accordance with the KCCA Act,” she said. Before joining KCCA, Ms Musisi worked as commissioner legal and board affairs at the Uganda Revenue Authority. She has been one of the highest earning civil servants taking home more than Shs 40m per month. 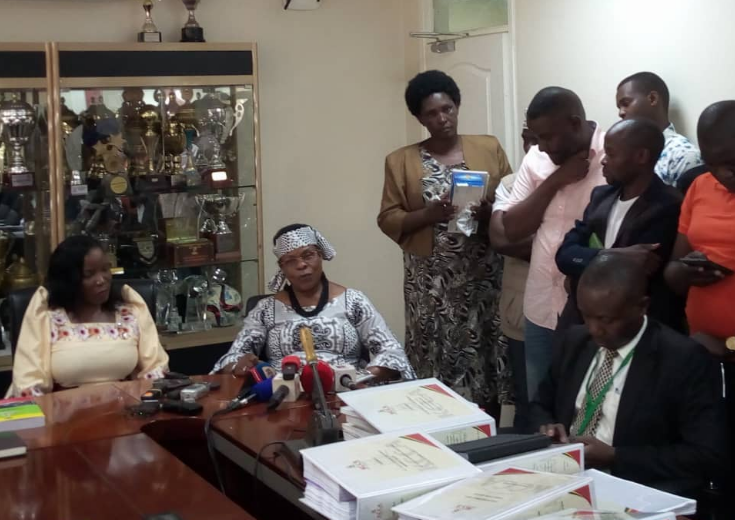 In the past, Ms Musisi regretted taking up the KCCA job and her tenure has been marred by endless bickering between her technical wing and the political wing of KCCA.